Polycarbonate frame. Available in translucent, translucent coloured, glossy white and glossy black versions. Classic design, modern materials. 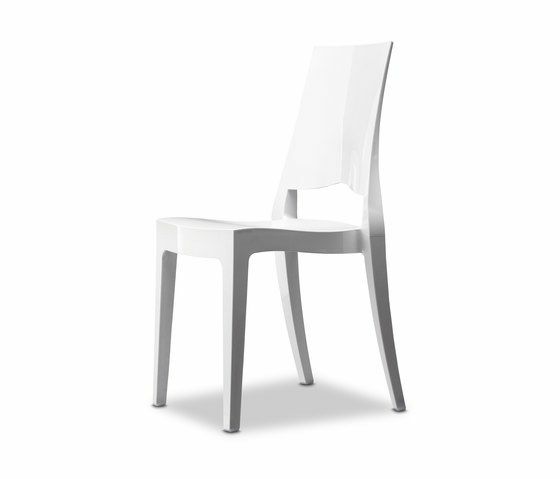 Designed for a comfortable and cosy feel, the backrest has a square design and becomes thinner towards the top. Stackable. New in 2011 is the high stool model, stackable.